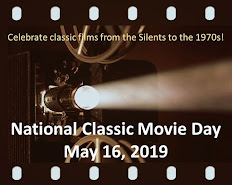 For years, I knew producer-writer Stirling Silliphant as the guy that wrote In the Heat of the Night (a favorite) and The Poseidon Adventure (a guilty pleasure). I had also read where he and James Coburn were good friends with Bruce Lee. That was pretty much it. But that all changed when my wife gave me a DVD set of with 16 episodes from the first season of Route 66 as a birthday present several years ago. Most people remember Route 66 as that "road show" with the cool music about two guys driving around the country in a Corvette. That's an apt description, though it doesn't capture what made Route 66 innovative--it was almost an anthology show set throughout the U.S., with terrific guest stars and sparking scripts. 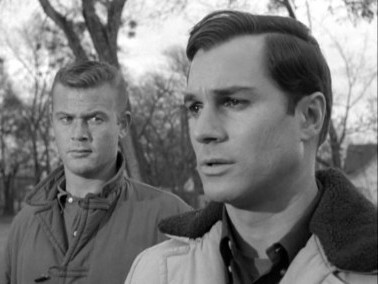 The lead characters, Tod (Martin Milner) and Buz (George Maharis), were sometimes the focus of the stories...and sometimes not. Oh, one or both would be present in every episode, but their part in the proceedings might be peripheral. (Note: Maharis eventually left the series and was replaced by Glenn Corbett). Martin Milner and George Maharis. Yet, what truly set Route 66 apart from its contemporaries--and even more so today--were Silliphant's scripts. Silliphant, who co-created the series with producer Herbert B. Leonard, wrote an incredible 73 of the 116 episodes over the show's four-year run. In terms of entertainment value, the plots were consistently above-average, but it's Silliphant's dialogue that gave Route 66 its unique voice. As David Mamet would do later, Silliphant embellished his characters with dialogue that would never pass for natural--but which conveyed a singular poetry all its own. "All of a sudden, I know how an insect feels, how helpless when it's caught by a cruel child. A blank face, bigger than the sky, smiling down at you from somewhere beyond your own tiny world. Smiling down and taking its time, letting its icy fingers pull off your legs and wings." No, people don't talk that way...except in Silliphant's Route 66 episodes. In fact, one can often guess which episodes were penned by Silliphant from just looking at the colorful titles (e.g., Love Is a Skinny Kid, How Much a Pound Is Albatross, There I Am--There I Always Am, etc.). 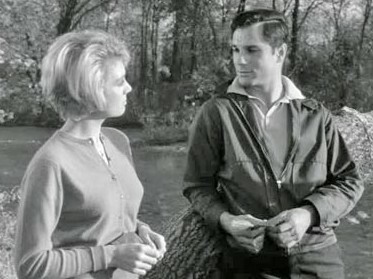 Inger Stevens and George Maharis. Stirling Silliphant's later career would include a well-deserved Academy Award for Best Screenplay for In the Heat of the Night. Still, I think he was at his peak in the early 1960s, writing for Route 66, creating some of the most poetic dialogue ever written for a weekly TV series. For a sample scene from Route 66, check out this clip from the Silliphant-penned episode "Burning for Burning" with Inger Stevens. I don't have the DVD set, but as I wile away the afternoons at dialysis I've been turning to YouTube and I will exhaust the episodes of Route 66 therein. I'm hooked! I'm glad it can bring a little joy into what must be challenging. I'm just discovering Route 66. Way ahead of it's time! Didn't he also write the Maya tv series ? Caftan Woman prayers for you with your dialysis . He developed MAYA for television (it was a book and movie first) and indeed wrote several episodes. I always thought it was interesting that he was fascinated by martial arts, too. He and James Coburn studied with Bruce Lee. 66 had an Naked City injoke with Harry Bellaver. 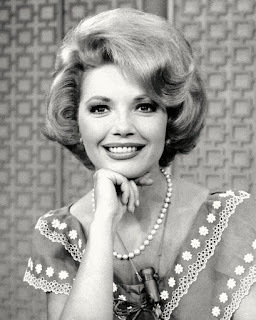 Stirling Silliphant was a name I saw on TV and in movies for decades - all that time, a name without a face (like so many on the working side of TV/films). 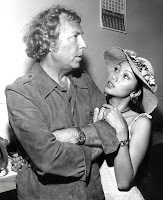 In fact, I think the only time I ever actually saw Silliphant on TV was in the late '70s, when he and his wife (pictured above) appeared as celebrity contestants on Tattletales. Between typing that graf and this one, curiosity got the better of me and I checked YouTube. Radical for the time, 66 had a wrapup last episode.Tod and Linc parted ways. Buz having left for a big movie career. Nice story. This was one of those shows I was a few years too young to have caught at the time but grew up reading references to as one of the last of the Golden Age shows. Being a B&W series it was never syndicated any place where I lived and I only had the opportunity to catch it fairly recently. I was duly impressed, particularly at the flexibility of the show's concept and the quality of the acting, production and writing. It's a real pity the show doesn't get more attention. The use of different locales across the U.S. made ROUTE 66 unique, too, though I've read that it was tough on some of the cast and crew. Oh dear. I clicked on your link and watched the clip, which led to another, and another... Poet Laureate is right. I was surprised to learn he'd written so many episodes of this series. Thanks for this info! Shucks, now I'll have to explore episodes of Route 66 after reading this. I never caught on to the series - or The Fugitive - even though I find individual episodes entertaining. Stirling Silliphant’s writing is as unique as his name! Great post, Rick!